A budget conscious option that does not compromise on quality. 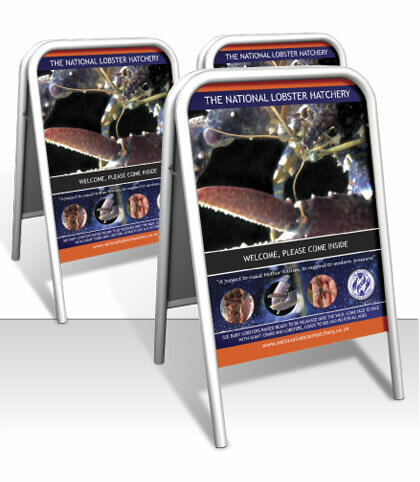 Our popular A Board features a fixing free aluminium panel surface and a double-sided 500 x 700mm display area. It also features a powder coated steel tube frame (32mm diameter) which is available in any RAL colour (minimum order quantity of 25 applies). Supplied ready for use this unit has a fully recyclable steel tube frame and aluminium panels.